Drivers in Maryland looked at the road on Wednesday, and realized it shined for them. It was all yellow. 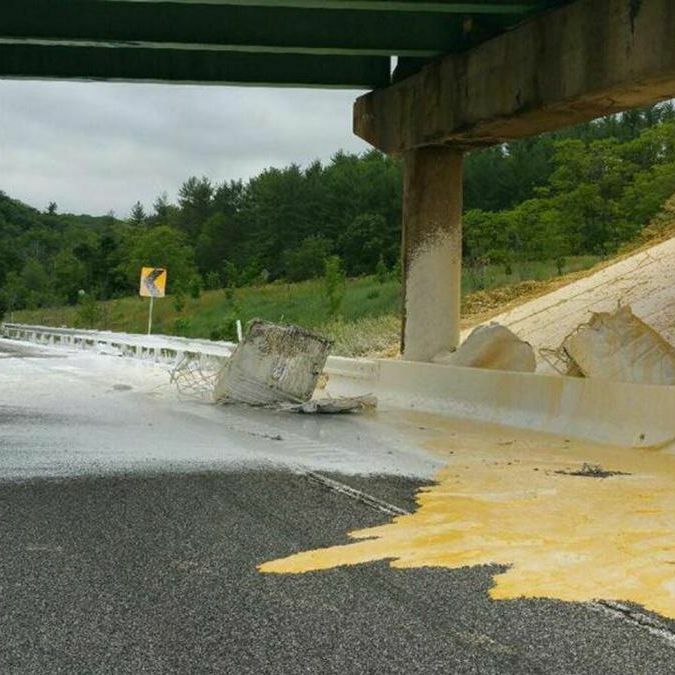 An overturned tractor trailer spilled its contents — enough yellow and white road paint to fill an above-ground swimming pool — all over the highway, leaving the lanes looking like the federal government had commissioned Mark Rothko and Jackson Pollock to team up and design road markings together. Because yellow road paint is designed to not come off pavement, the Maryland State Highway Administration needs to scrape it all off, a process that will take at least until Saturday night to complete. The driver of the truck had been texting before the accident took place. Yellow road paint is not the weirdest thing that has spilled out of a truck in 2015.